I've spent the last month prepping, creating, and crafting for my friend Britany's baby shower. I got together with some of her other friends to put on a Mustache Bash to welcome her little boy. 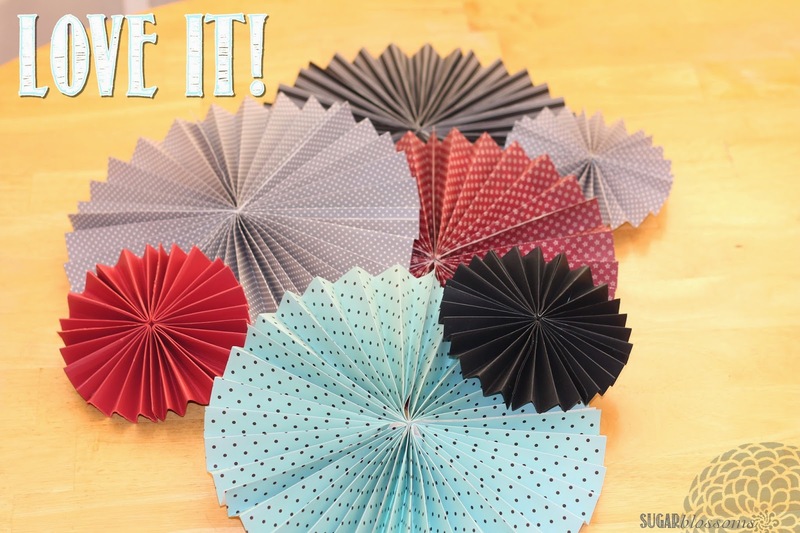 These are SO simple to make but they look awesome! 4 - Bring the each end together to meet in the middle. 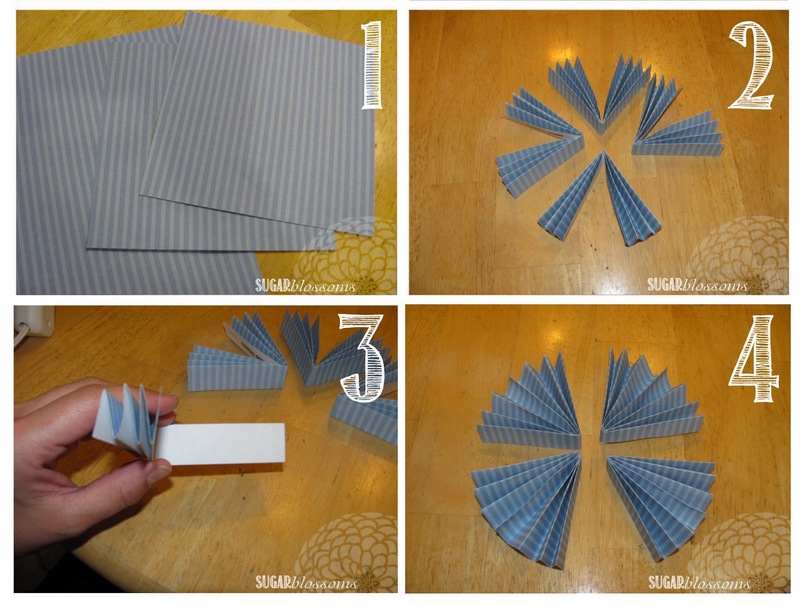 5 - Crease the center fold well. 6 - Follow steps 1-5 for the remaining 2 papers. 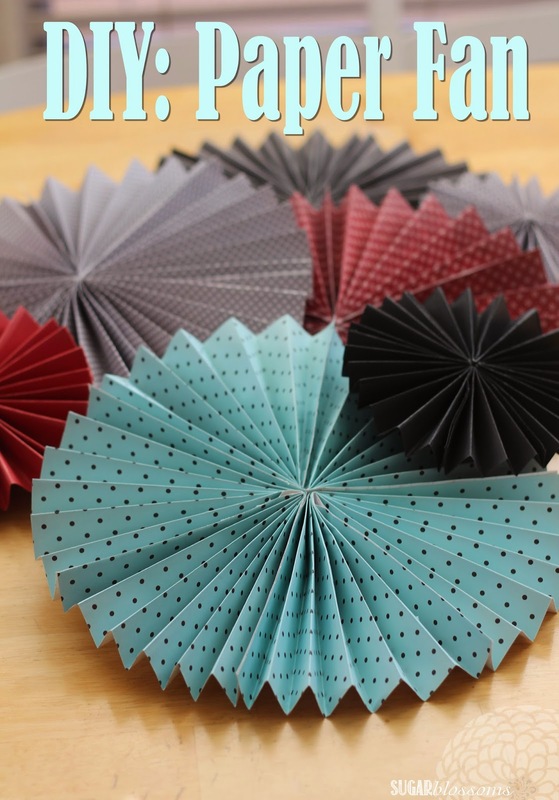 7 - Hold each "fan" by one side so the inner folds are visible. 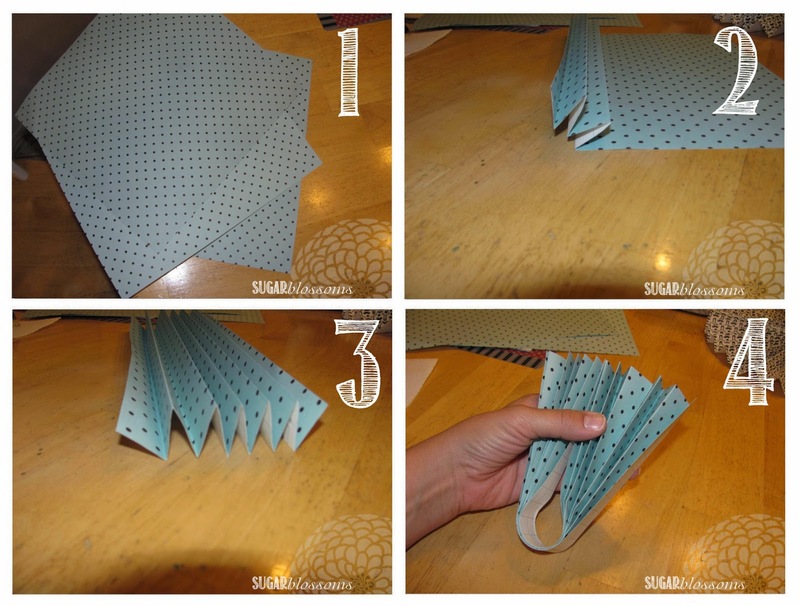 8 - Place a line of hot glue along the edge and center crease. 9 - Pinch "fan" closed to adhere glue to both sides. 10 - Follow steps 7-9 for remaining "fans". 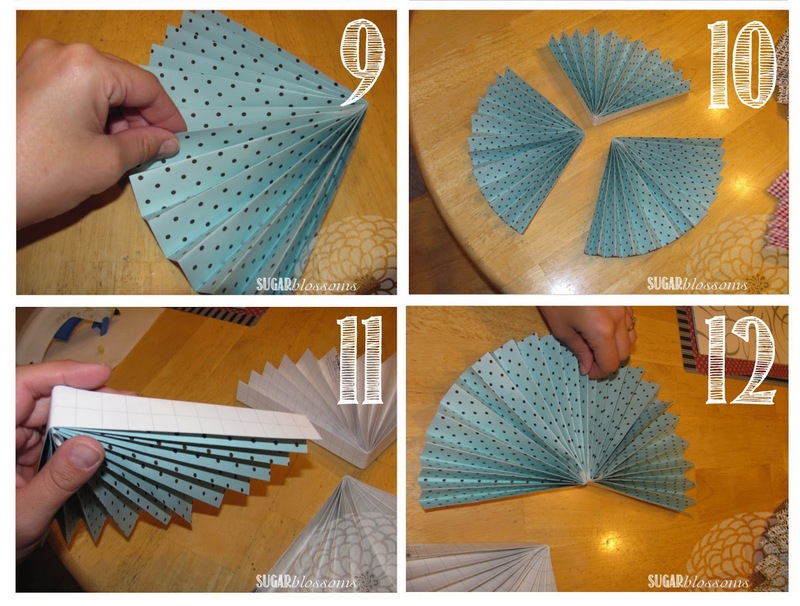 11- On outer edge of one "fan", pipe a line of glue along top and lower crease. 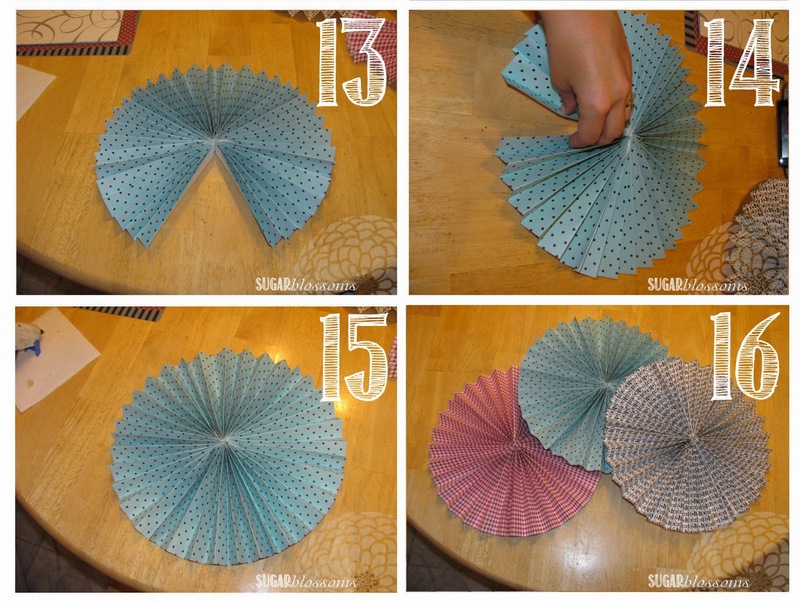 12 - Attach glued side to outer edge of another "fan". 13 - Pipe glue along outer edge of last "fan". Attach it to one side of previously joined "fans". 14 - Pipe another line of glue along top edge and down center crease. 15 - Pinch together to secure. 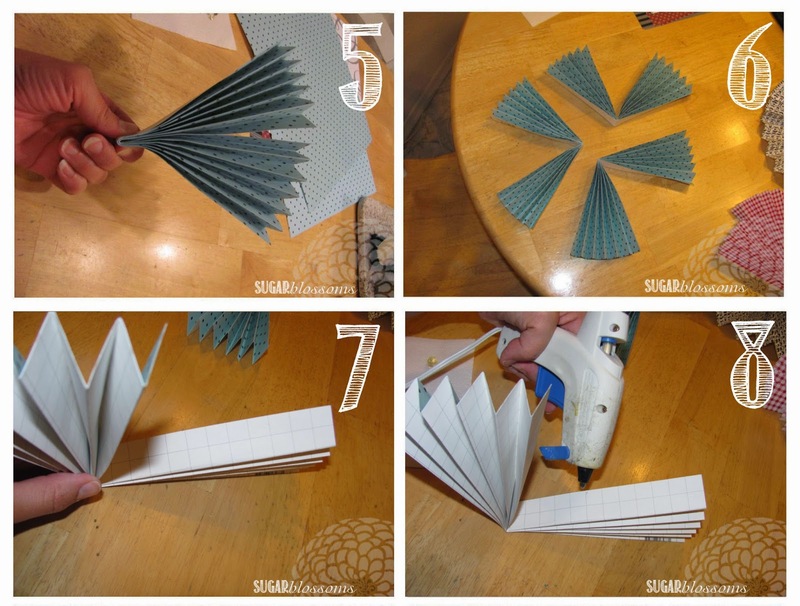 Follow the same steps as the large fan, but start with 1/2 inch folds (instead of 1-inch folds). You'll need all four small "fans" to complete this one (vs. 3 "fans" for the large one). I didn't use fishing line on these because we attached them to a backdrop instead of hanging from the ceiling. Check out the full Mustache Bash party here! 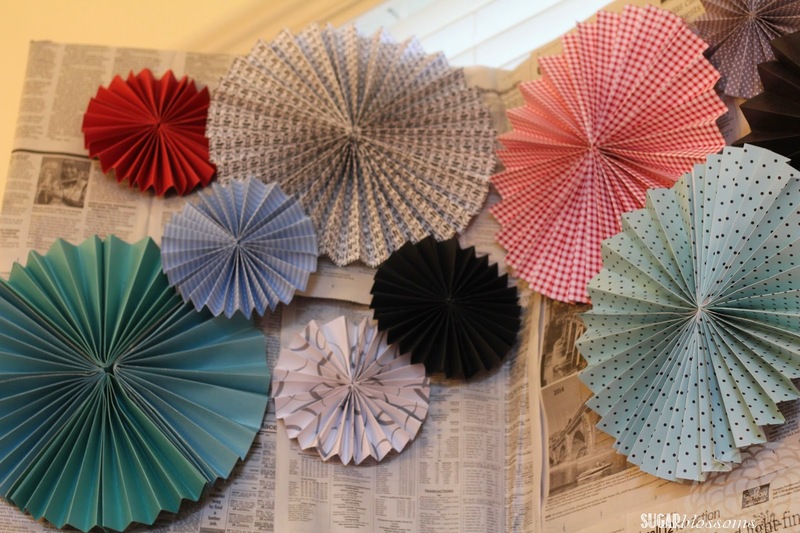 How would YOU decorate with these?